If this is the future of racing, please check inbox for our sponsor-me letter! 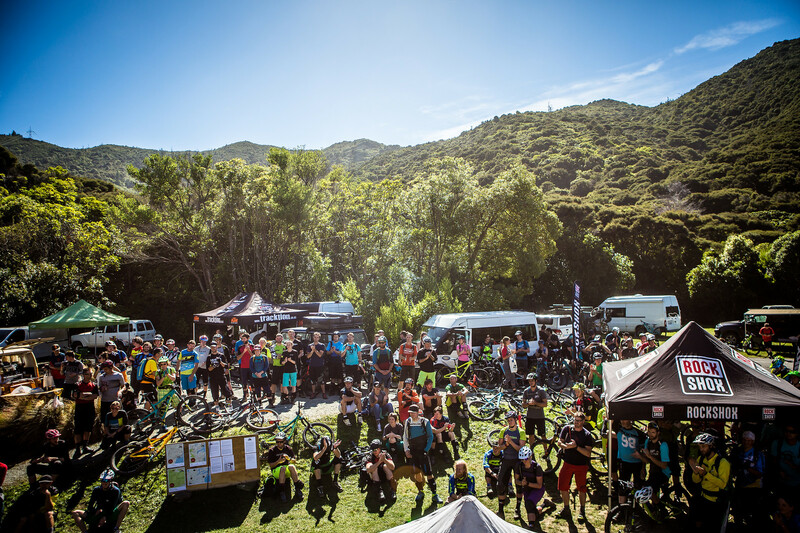 One hundred and forty riders from 17 nations picked up their rego packs stuffed full with an amazing array of useful items provided by the event partner sponsors. After a forty minute climb the riders were ready to drop into stage one - Double Eagle. 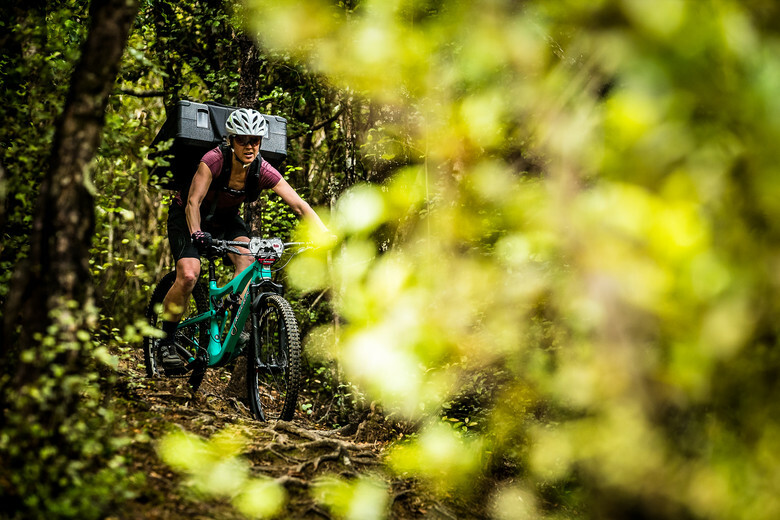 It is the only man-made track of the three days riding and a Marlborough MTB club maintained DH track. Steep fast, flowy with some jump and drop options. Riders had to control their speeds, there were many surprising corners that caught more than a handful of riders out. It comes as no surprise then that nearby Blenheim local pro EWS racer Justin Leov took the stage win with Damien Oton and Craig Evans in second and third. In Pro women's, it was Ines Thoma in first, Bex Barona in second and Claire Hassenfratz in third. After another hot hour and thirty-minute climb and push riders reached the top of Stage two. Compared to the short three-minute stage one, this was a bit of a lung buster; 500m descent in eleven minutes with a mix of blindingly fast tight native forest single track, a few tech rock ridges and a big old climb to keep you honest near the end of the stage. 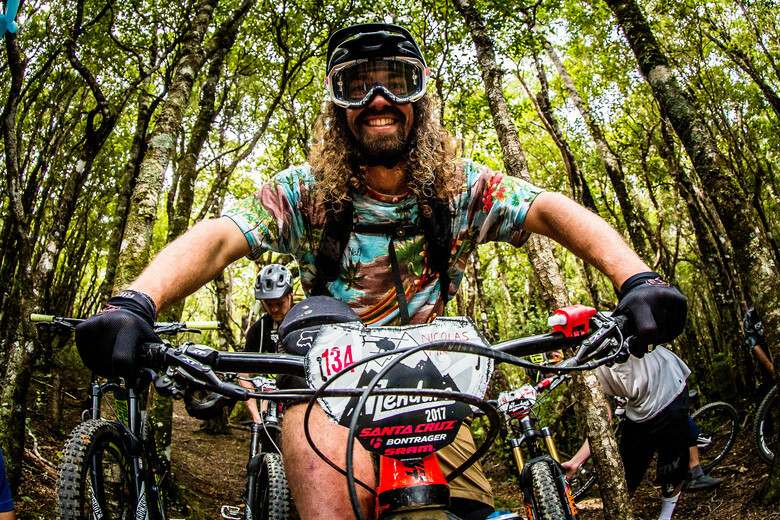 Despite his bike only arriving late last night Damien Oton had a great stage finishing eight seconds up on Christchurch based Joe Nation with Jerome Clementz in third. In the Pro women’s it was once again Ines Thoma in first and switching it up it was Bex in second and Claire in third. Want to see what the pros are piloting at the race? 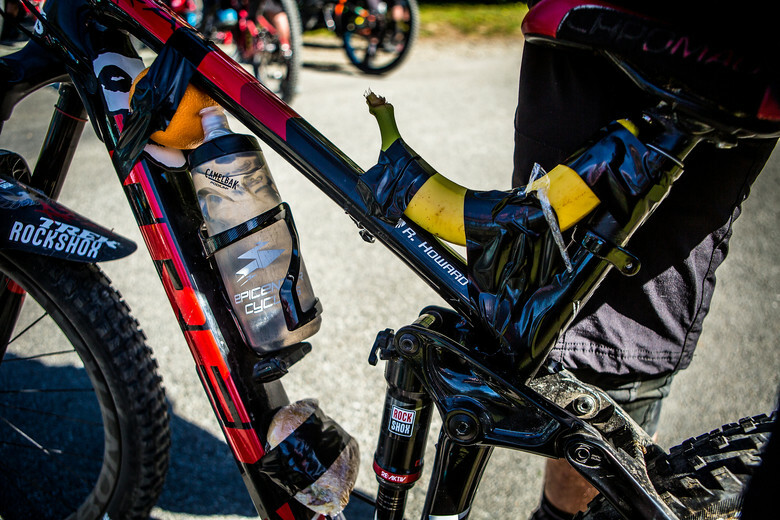 Check out our bike check gallery. Heh, Boris and Bryceland at the end was like listening to twintalk. Also, new format? Slideshow gone?